Sarah Zapiler works to create systematic change in some of the most segregated schools in the country. “When asking where should our focus be, we should always look to the people who are most impacted,” Sarah Zapiler said, and when it comes to segregation in New York City schools, those people are the students themselves. 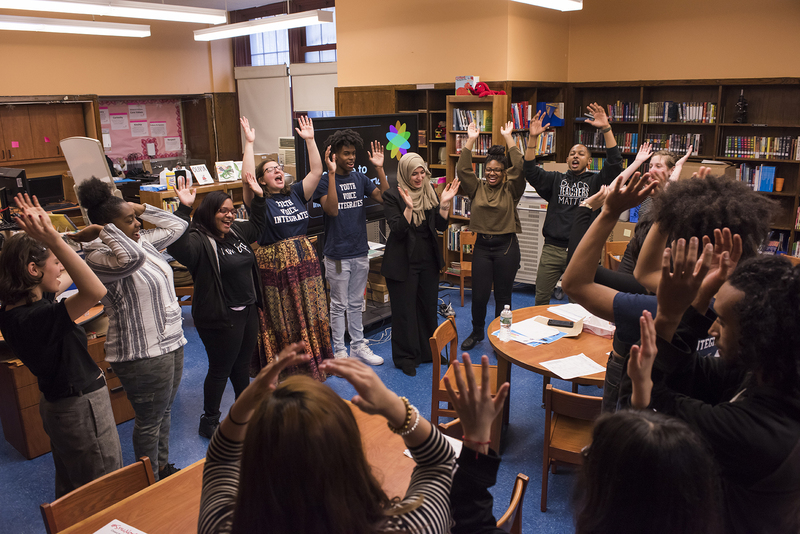 Youth leadership is the concept that IntegrateNYC, an organization fighting school segregation and inequality, puts at the center of its operating philosophy. “We uplift in our work the historic leadership of young people,” said Sarah Zapiler, adult Executive Director of IntegrateNYC. “The reason that we are where we are today in terms of civil rights and equality, is because of the leadership of young people, who have been a voice of possibility that we don’t yet see,” she added. IntegrateNYC works to bring equality to New York City schools, which are some of the most economically and racially segregated in the country. 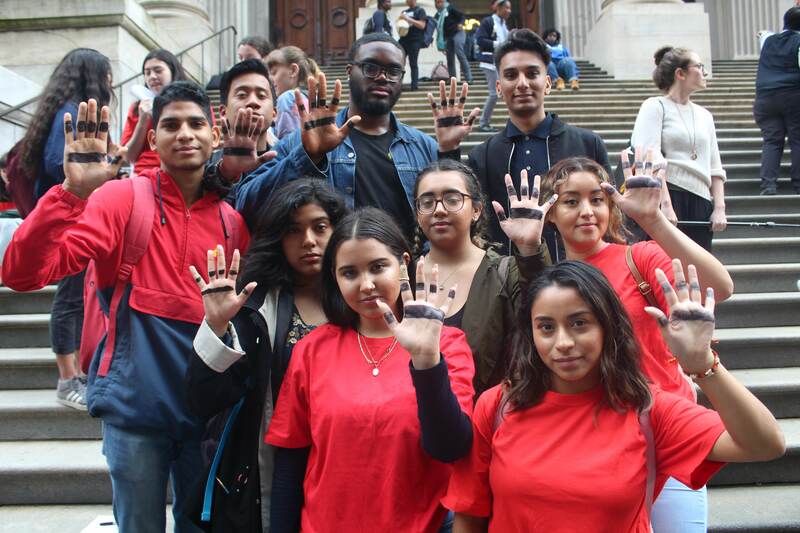 This organization has built a community of youth leaders who engage with students, teachers, and legislators in order to educate and raise awareness on the educational inequality they have witnessed first-hand. IntegrateNYC also has developed a comprehensive plan to enact “Real Integration” in New York City schools. This plan centers around what the organization calls “the 5R’s of Real Integration:” race and enrollment, resources, relationships, restorative justice and representation. Zapiler, who goes by the nickname ‘Zaps,’ has a history of working in education, specifically in empowering young people. In her early career, she spent time running mentorship programs with recently immigrated students that allowed them to practice their English skills. She then worked with The Future Project to place dream directors in high schools, who supported students in taking concrete steps toward their goals. After witnessing how providing resources changed lives, Zapiler realized she had a passion for aiding the youth in actualizing their goals. “I loved working with young people to define what matters most to them, and then to actually make it happen in the world. And what I saw when I was in the school, was that it wasn’t just a lack of belief or skill that was preventing students from actualizing their dreams, it was so many structural barriers built into the school,” Zapiler said. The frustration she felt over these conditions led her to IntegrateNYC. At the time, the organization had just started up at a school in the Bronx, and Zapiler began as a volunteer. She quickly realized she wanted to spend her full-time making sure this important work was being done. In her current position as Executive Director, Zapiler empowers and amplifies the voices of the youth by involving them directly in the advocacy process. She provides the behind the scenes support to these young visionaries, helping them network with other leaders, and scheduling speeches and events that get their ideas heard. “Students are the experts who know best what needs to change, and it is imperative that everybody listen to students and their priorities,” Zapiler said. “We are the present; we are the future. So we are the ones that should have the say in what goes on,” said Iman Abdul, a third-year college student who has been involved with IntegrateNYC since her senior year of high school. Abdul first realized the extent of segregation in high school, where she was one of few Latino students in attendance. “We knew that something was wrong, and we knew that we had to voice it,” she said. Abdul now serves as the director of curriculum design and educational engagement for the organization, where her voice is both heard and valued. “One of the things we’re really committed to is moving beyond any kind of tokenism or decoration,” Zapiler said. 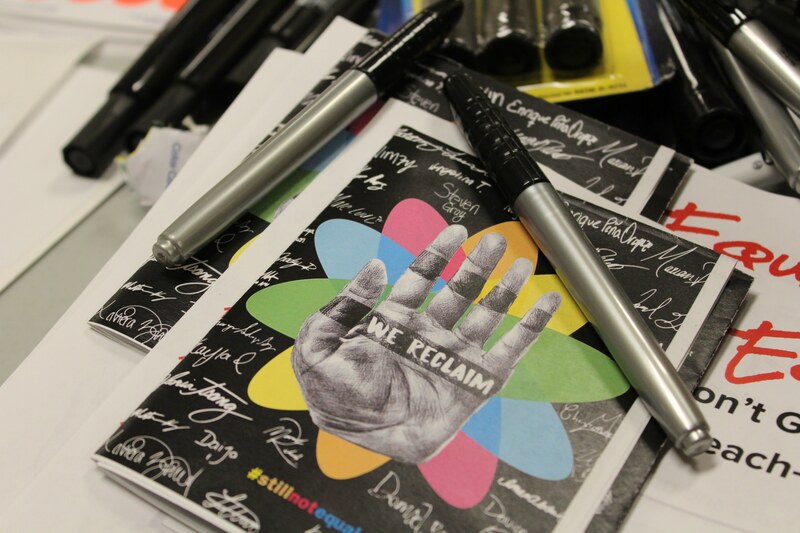 The organization’s website outlines an operating system of student leaders and adult allies, which allows youth activists to guide IntegrateNYC’s plans for change. Rather than just offering their opinions, the adult staff invites youth leaders to directly involve themselves in the process of change. The young leaders set their goals, while the adults facilitate each step toward achieving them. “It’s a collective type of thing,” said Sufyan Hameed, an eighteen-year-old activist who works closely with the organization. “Something that I think is really special is that all the adults that work with us are always speaking to our mind and not our age. They really respect us as human beings, as individuals and as leaders,” added Hameed. “I’m inspired every day by their heart, and how much love they have for each other and for the work, and just the thoughtfulness with which they approach the work,” Zapiler, who feels she learns a great deal from interacting with these young activists. “The kind of leaders we really need in this world are people who are really thinking about the impact on other people, and being inclusive and generous, and I see every member of IntegrateNYC doing that,” Zaps added. If the success of this organization’s young leaders’ endeavors are indicative of anything, the outlook for future leaders is bright. Iman Abdul has already co-written a national curriculum on integration for the Ava DuVernay-produced Netflix documentary “Teach Us All.” Additionally, the recent District 15 Diversity plan announced by Mayor de Blasio and Schools Chancellor Richard Carranza draws on many of the ideas found in IntegrateNYC’s “5Rs of Real Integration” plan, which was shaped by student input.